Brian Corbett was born in Dayton Ohio on May 8th 1962. His parents moved the family to Los Angeles California when he was very small. When he was about 5 years old he heard a group of kids called The Jackson 5 on the radio. His older sister Robin bought the album and Brian started singing along. He sounded just like Michael so his sister would have him sing for her friends. The first song he learned was I Want You Back. Singing just came natural to him but he was so shy that he soon left it behind. When he was 7 years old he started noticing the drummers at church. He asked his parents if they would buy him a drum set. Knowing how expensive this would be they decided on getting him a set of bongos and a classical guitar until they could afford a set of drums. Brian starting playing both instruments by ear and listening to George Benson and Earl Klugh. This was ok but it never really stopped the longing to play the drums. His parents seeing that he was really serious about the instrument went to a pawn shop and picked up some drums. He started playing by ear and became a good drummer. He started listening to jazz and found that he would need help to start playing like his favorite drummers. He listened to Billy Cobham Lenny White Tony Williams Steve Gadd and many others drummers. He started taking drum lessons at the local music store. The drum teachers name was Kay Carlson. He took lesson from her for 2 years and started playing in several different church choirs and jazz fusion bands. He has now been playing drums as part of the International Community Church praise team for the last 17 years. After playing drums for awhile his pastor Roge Abergel asked him to sing a song for one of the services. He had never spoken with the pastor about singing so he knew this had to be God. This is how he starting singing again. Then one day one of the members of the church started asking him if he was going to record a CD. He would politely decline saying that he did not have the money for the recording and that he did not have any songs to record. When he would sing at church he would buy music tracks by Fred Hammond Donnie McClurkin and many other artists. One day he received an offer to record a CD and all the expenses would be taken care of by one of the church members. He agreed and shortly after that he started working with Rick Balentine a producer who also was the music director at International Community Church. God started working thru them to come up with anointed worship and praise songs. 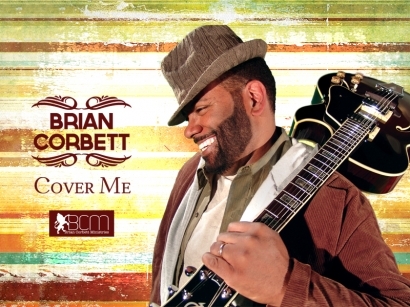 God has called Brian to be a Christian/RB/Gospel artist and this CD is the fruit of God's calling on his life. The debut CD is called “Cover Me”. This CD is a mix of RB Pop and Old School Soul that is presented in a new and fresh format. Music that encourages and restores the spirit is his mission statement and the goal of his music. It is Brian’s prayer that people are blessed and drawn into a closer relationship with Jesus Christ through this ministry. Wonderful ! Cover Us Lord!!! Got my vote! CHECK ME OUT BE BLESSED!!! Well done bruddah...straight ahead and God Bless...all 5's.